May you like playing Blackjack in online casinos or in a physical one, make sure you check these twelve myths about this interesting card game. Even if you are a beginner or an experienced player, you can build your own luck by keeping in mind some simple tips & tricks your rivals might not know. There is a 70% chance that the dealer has a card from ace to nine in his/her hands, and only a way smaller chance of 30% that he/she has a 10, J, Q or K.
According to this mathematical percentages, you should never base your strategy on assuming the dealer’s hole card is a 10. Often, players tend to think that if they lost few consecutive games, their time to win is coming and their bad luck would stop. However, keep in mind that cards have no memory and stop betting huge amounts on a hand after a certain number of lost ones. The chance of winning always stays the same. One of the most common myths states that, in order to win, you need to progressively raise your bet until the point when you win a big amount of money. As we said above, there is no link between hands, so raising your bet with each hand has no scientific reason. There has never been any mathematical study to attest the fact that randomness can be triggered by placing higher bets. Experienced players have a predisposition to blame the untrained ones for their losing hands. However, a misplayed hand can lead in equal matter to wins or loses in the experienced gamblers. The next time you have a beginner at your table, stop blaming him, because he could influence the game in a favorable direction for you. Most of blackjack players accept the even money proposal the dealer makes without the blink of an eye. Yet, under no circumstances you should do this! If you don’t accept the even money, there are two possible endings: either you don’t receive anything, or you win and get 1.5 x your bet. The same situation happens with insurance money. You should never accept them, even if you are unsure on your hand. Take the risk and continue the game, because the insurance costs you a lot and guarantees nothing. While Blackjack seems to be a chance card game, a wide knowledge of strategies and rules, sustained by heaps of practicing hours will give you the desired result. By learning the tips & tricks in this article, you are a step closer to transforming a chance game into a strategy one. Is having an amazing photographic memory mandatory when it comes to playing Blackjack at a high level? This is another myth that has to be busted! Paying attention is not to be confused with photographic memory. Paying attention could help you counting the cards and keeping the track of high or low cards remaining. Practice and you can achieve higher levels of concentration! There is a common Blackjack myth which says that in order to win, you have to know a lot of mathematics. However, Blackjack only takes some basic mathematical knowledge: you are expected to add and subtract simple numbers. There are people who bet small amounts of money and win incredible ones as well as people who bet a lot of money and don’t get back the same amounts. There is no rule to show that more money invested necessary means bigger payouts, so you can start with tables with lower entering amounts. 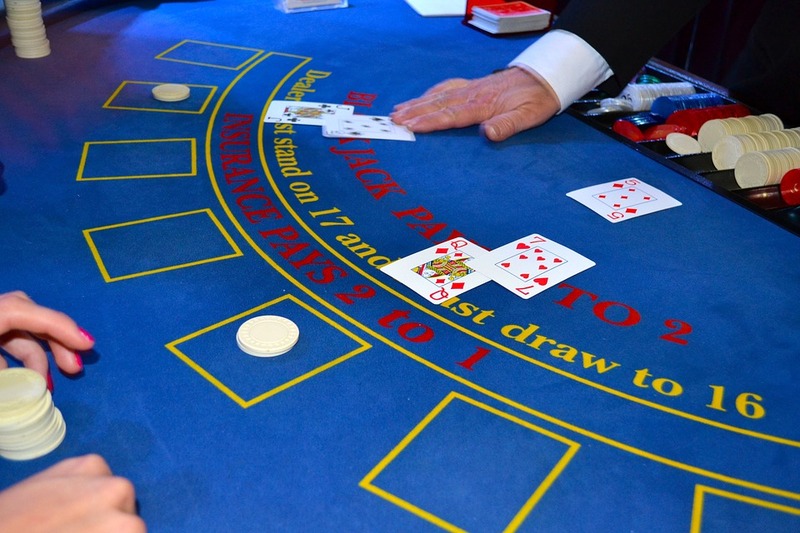 One of the funniest myths about playing Blackjack implies the place at the table. Some people believe that being the last one could lower their winning chances. Let’s make it clear: there is no cursed place at a blackjack table. Sit on that place, play, win and demonstrate this hypothesis. Online blackjack is avoided by some players due to the common belief that it is a game that has a much lower payout percentage than real-life blackjack tables in casinos. Though, blackjack tables in online casinos have the same winning rate as the above-mentioned ones, thanks to the RNG (Random Number Generator) system. Check the casinos on our site and bet on the winning hand!